Our Meyer Lemon Vinaigrette is delicious for any vinaigrette lover, and a great choice for those who have trouble tolerating vinegar. 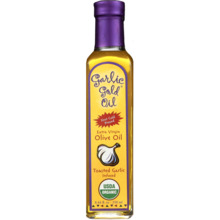 Garlic Gold® Meyer Lemon Vinaigrette is vinegar-free! This is a new and improved version of our dressing - it contains bolder Italian, and zestier lemon flavors. Our Meyer Lemon Vinaigrette is delicious for any vinaigrette lover, and a great choice for those who have trouble tolerating vinegar. 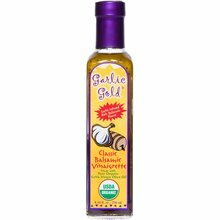 Garlic Gold® Meyer Lemon Vinaigrette is vinegar-free! This is a new and improved version of our dressing - it contains bolder Italian, and zestier lemon flavors. We source local Meyer Lemons from an organic farm in Ojai, CA. We now use only extra-virgin olive oil (instead of an oil blend) and we removed the thickeners for those who are sensitive. Wonderful on seafood salads; makes a great marinade for fish, chicken, and vegetables. 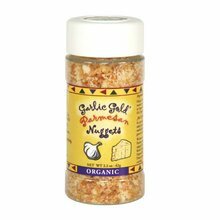 Ingredients: Organic Garlic Gold® Oil (organic extra-virgin olive oil infused with organic garlic), organic Meyer lemon juice, organic Garlic Gold® Nuggets (garlic), sea salt, organic black pepper, organic spice blend, organic Italian seasoning blend. Refrigeration is up to you, but not required.